Introducing our new skin care line – Bellanina. A combined technique of chemical peeling and dermabrasion. This duo will be performed one at a time after the appropriate cleanse and followed by a relaxing scalp massage, hydrating mask and moisturizer. This treatment produces a more dramatic result that will resurface your skin and refresh your complexion. Our skin care therapist will tailor this facial to meet your individual needs – from dry and dehydrated, rosacea, acne to combination skin. This mini facial is ideal for those on the go. 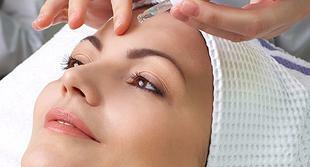 This will provide you with all of the benefits of a full facial in less time. Skin is lightly cleansed and exfoliated and then a treatment mask is applied followed by a moisturizer. This facial provides a customized treatment for individuals looking to reduce the appearance of fine lines, wrinkles, age spots, uneven tone and to brighten their skin! This includes the use of targeted microdermabrasion, chemical exfoliation and healing essential oils as well as European facial protocols to redefine the skin for a more youthful appearance. Series of 3 facials highly recommended. Flash exfoliation – Firm, resurface, tone and brighten skin with maximum strength exfoliation to help reverse the signs of aging. Conditioning agents are then applied to the skin to help soothe and restore skin to optimum health. This service can be added to any Facial treatment. Select it as an additional service when booking. This treatment can be used to improve skin texture and reduce sebaceous hyperplasia, or enlarge oil glands. It can help with removing sun spots, acne, and even scars that were caused by acne. 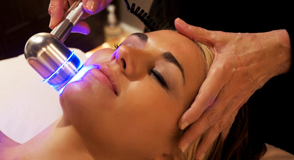 This blue light will be administered alongside our Bellanina acne facial (included). Red light therapy helps treat wrinkles, scars, and aids in the promotion of healing. 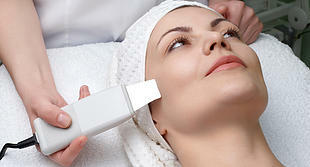 It also stimulates cellular activity, including, the fibroblasts that produce collagen which gives skin its plump look. Finally, it reduces redness and sun damage. This red light treatment will be paired with our anti-aging facial (included).